Lenoardi DiCaprio has long been one of Hollywood's most eligible and enviable bachelors. 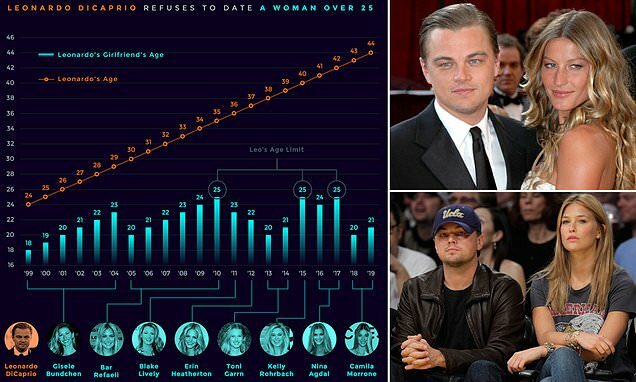 One Reddit user carefully studied DiCaprio, 44, and his long list of lovers and concluded that he refuses to data woman over the age of 25, barely more than half of the Oscar-winner's age. The graph lists eight of his ex-girlfriends, and out of all of them, three were 25, the oldest age he's ever gone out with.